Make a large impression. The Banner pen features a full-color 7 1/4"x2 5/8" pull-out banner wrapped around an interior roller. The banner can have imprints on both sides, creating a possible 15-1/2" of logo impressions. 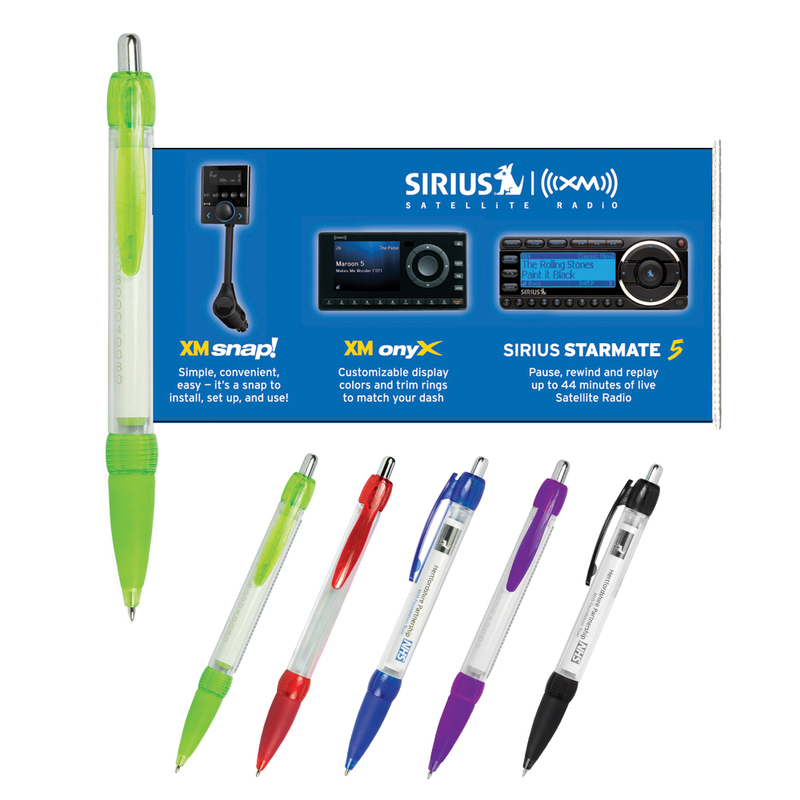 The body of the pen is clear, so the company logo can still be seen when the banner is retracted. Minimum quantity for this item is 2500 pieces as imprinting and assembly will be done solely overseas.